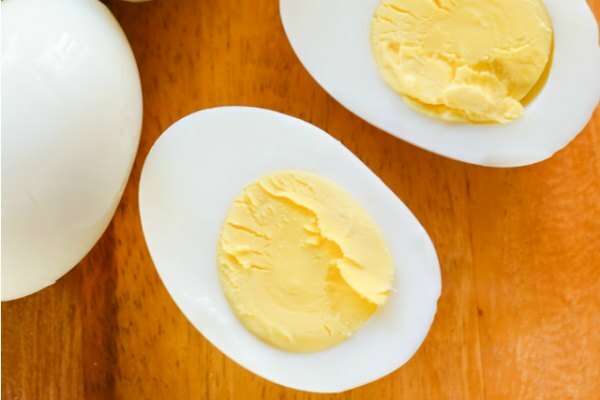 Easter is almost here and we all know what that means... Lots, and lots of Hard Boiled Eggs..
After years of trying various ways to boil eggs I thought I would share what I have found to be the most dependable way to make Easy Peel Hard Boiled Eggs. There's nothing worse then having a dozen or two hard boiled eggs to peel, and the shell sticking to the egg whites the whole time. These are absolutely perfect whether your making Easter Eggs this weekend, Deviled Eggs, Dill Potato Salad, or just because.. It has saved a lot of time and frustration in peeling the eggs. I try to start with eggs that are at least a week old. They always seem to have a more dependable result. It's not mandatory. I have had good results with fresh eggs, but find it helps. Then I place the cold eggs in a single layer in a pan with a lid. Make sure the eggs have room between them to prevent them from cracking. Add water until halfway up the eggs. This allows the water to come to a boil faster and helps the shell release from the membrane when peeling. Turn the heat to high and bring eggs to a boil as quickly as possible. 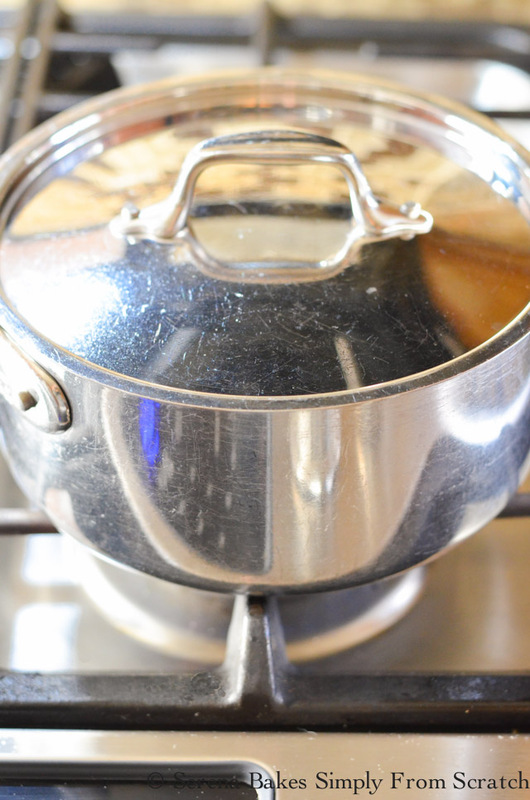 Cover saucepan, reduce heat to low, and simmer for 13 minutes for Large Eggs. 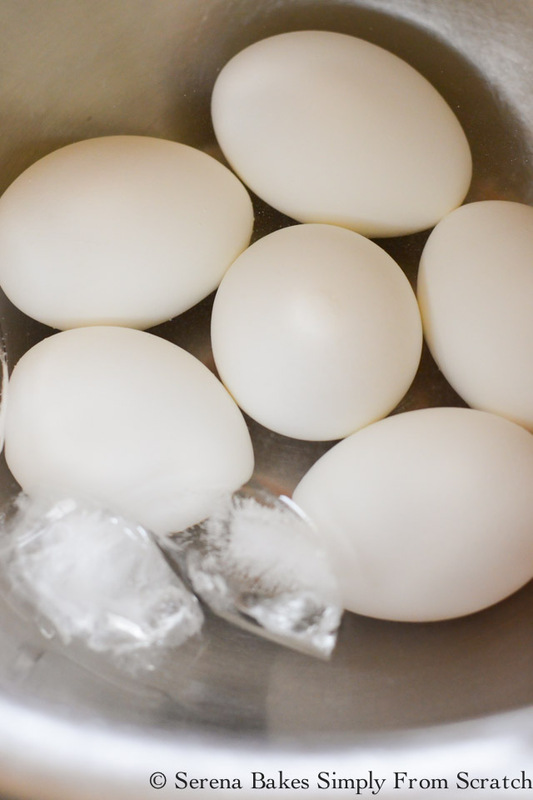 Place eggs in an Ice Bath immediately to stop cooking. Depending on how cold I need the Hard Boiled Eggs I might change the ice bath several times. 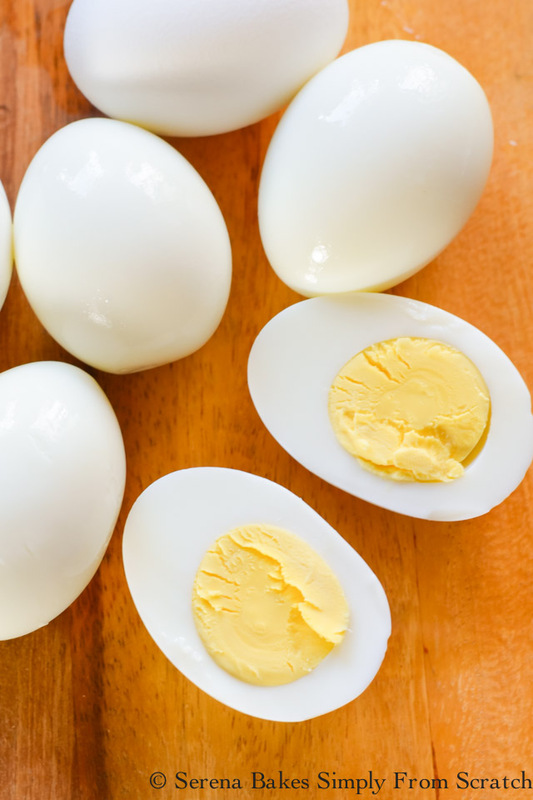 Gently tap the Hard Boiled Egg all over on a hard surface to break shell. Make sure to tap the top and bottom of the egg. I find peeling the eggs from the top or bottom the easiest. 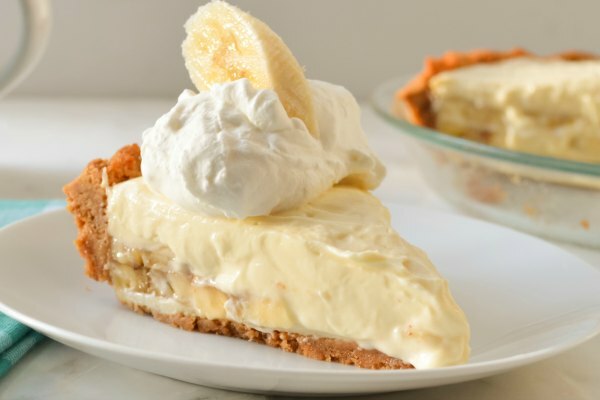 There's usually an air pocket and once the shell starts to peel the rest will just slide off.. The ring around the yolks should be perfectly yellow. If you've encountered the green rim in the past it's from over cooking. I'm planning on sharing the recipe for Smoked Salmon Deviled Eggs later in the week I made using these Easy Peel Hard Boiled Eggs so make sure to check back for the recipe! 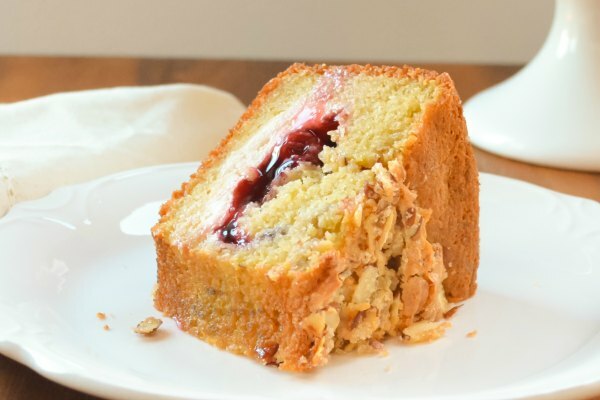 All are great uses for leftover hard boiled eggs you might have from Easter. 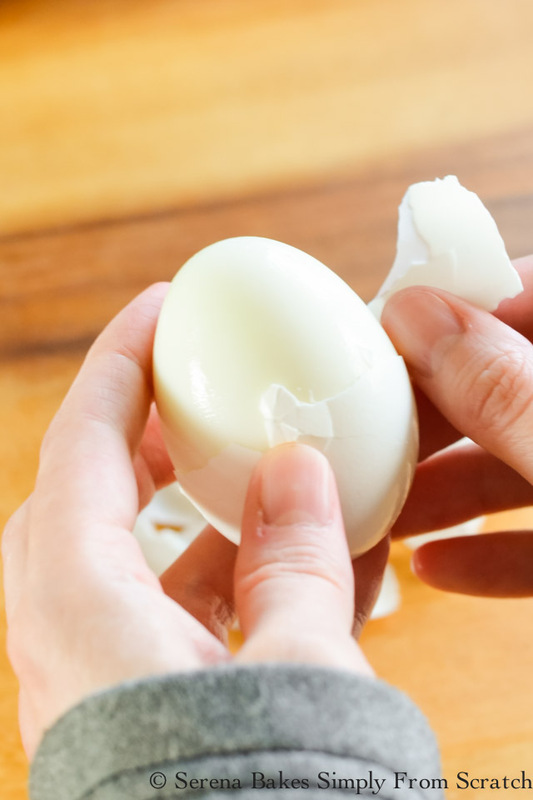 How to make Easy Peel Perfect Hard Boiled Eggs that the shell slips right off and no green rim. Place eggs in a saucepan with enough room the eggs don't touch. 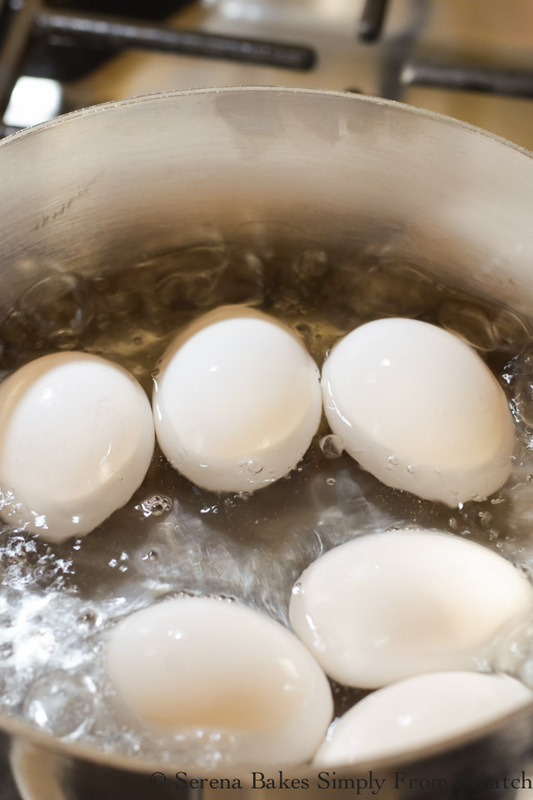 Fill saucepan with water until halfway up the side of eggs. Turn the heat to high and bring eggs to a boil. Cover pan, reduce heat to low, and simmer for 13 minutes. 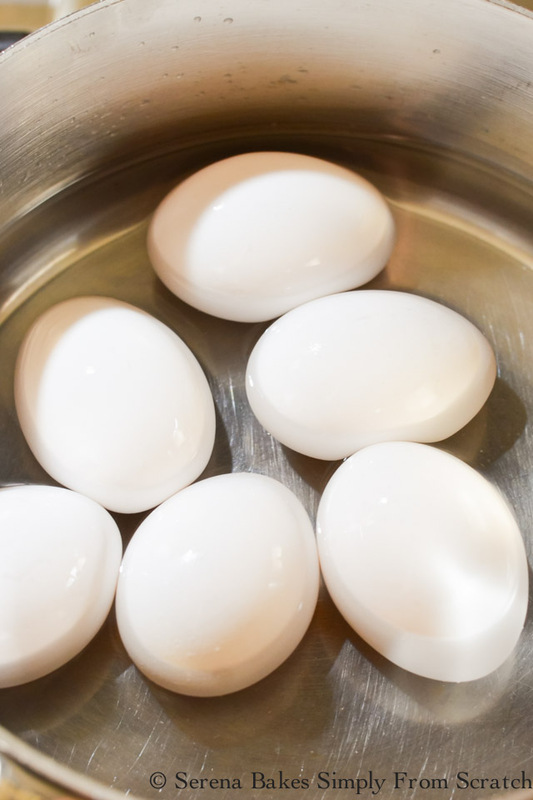 Place eggs in an ice bath to cool immediately to stop cooking. Change ice water as needed depending on how cold you need the eggs. 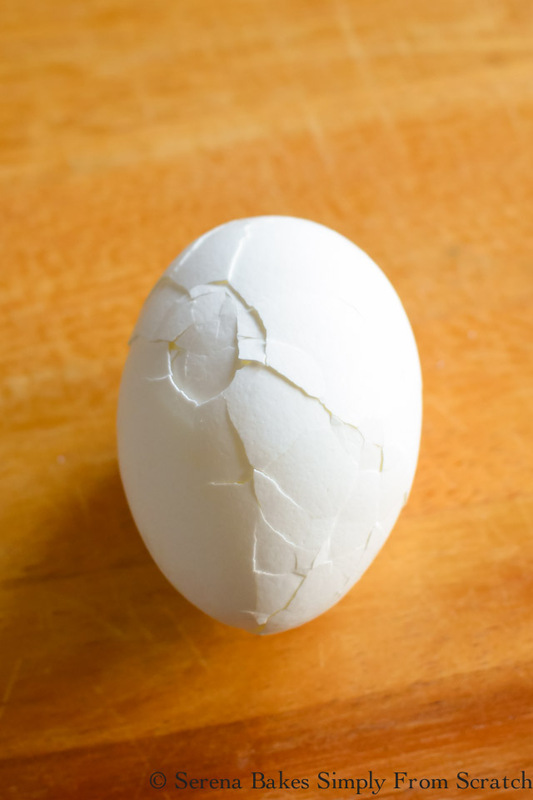 Gently tap hard boiled egg on top, bottom, and sides of shell to break shell. Peel shell off egg starting at the top or bottom. You can make more or less eggs. The directions stay the same just make sure there is space between the eggs in the pan.